#teachmeet – the ‘desire line’ of CPD? I’ve been fascinated by ‘desire lines’ way way before I knew they had a name. They always made me smile, whether they were the physical paths worn into the world by human walkers, or those transient desire lines made by students (and teachers) in school taking the ‘Módh Díreach’* to their destination rather than the path outlined by management. I posted a picture of an evolving desire line I’d used in Limerick University this summer. 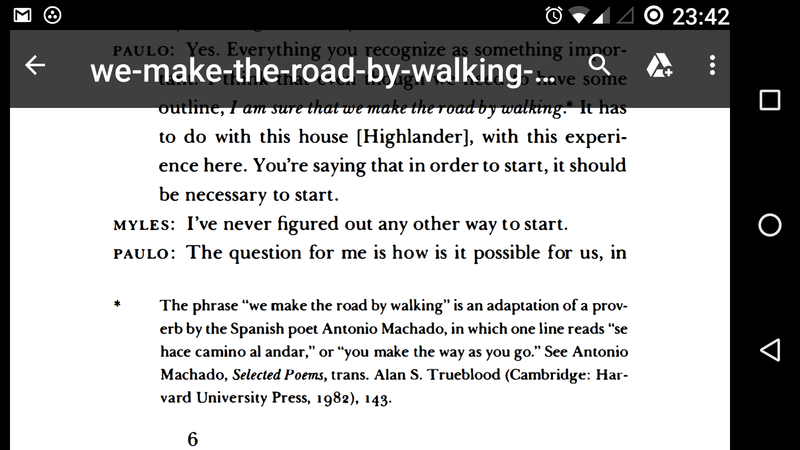 Quick as a flash, as is his wont, my friend and erstwhile mentor Dr Conor Galvin, from his square-laked UCD campus, conjured Freire conjuring Machado with the loveliest riposte: ‘we make the road by walking’. It made me smile, and I still smile and have a little moment about it with every desire line I stumble upon (figuratively, not literally; if ever I actually stumble on one I will not smile). And so, walking yesterday in one of Dublin’s meticulously planned geometric business park areas, thinking about what to say at a forthcoming return visit to the Scottish Learning Festival TeachMeet, I stumbled upon a new desire line. My phone being dead, there’s no picture, so you’ll have to take my word for it. I stopped to look at it – a very definite diagonal of worn dirt in an otherwise pristine clinical concrete grid of perpendiculars. I heard a Carrie Bradshaw voice in my head ask: is this TeachMeet phenomenon a sort of desire line in teachers’ professional development landscape? Hmmmm. So there’s a desire line of thought to kickstart year 2 PhD research. *Modh Díreach: An infamous piece of learning in Irish language grammar, now a term used by us in English to denote taking a direct pathway or action.